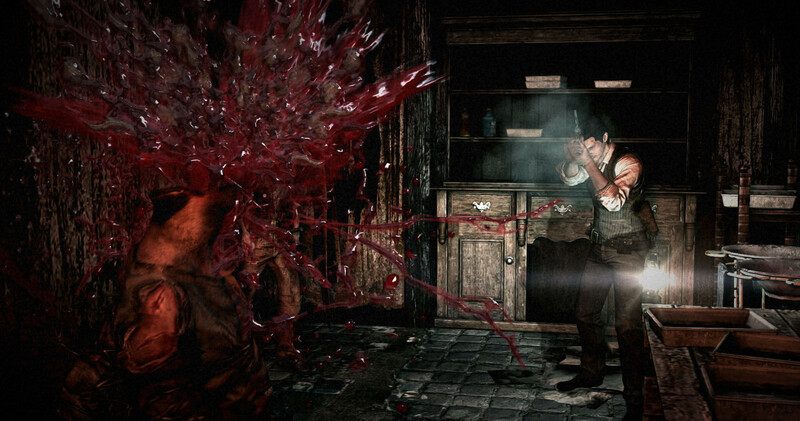 The Evil Within Does Mikami's latest manage some zombie steps out of the shadow of Resident Evil? I’ve always had an up-and-down relationship with the survival horror genre. When the genre was enjoying the peak of its popularity with the PS1 and PS2 Resident Evil titles, I’d dip in and out - I remember playing the second Resi but not the first, and then I skipped over a number before settling on the Gamecube remakes and original titles. 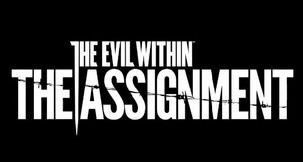 With most of my best memories of the genre firmly attached to a scant few games from that era, it’s only natural that I walked into a hands-off demo of The Evil Within bearing high hopes indeed. The last few years have seen my interest in the genre resurface somewhat - notably with Resident Evil Revelations - and this latest attempt at survival horror, from Bethesda, is helmed by the legendary Shinji Mikami, the original creator of the Resident Evil series. 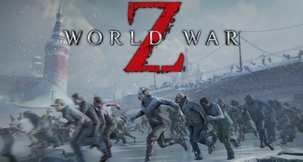 While Mikami wasn’t present for the demo, Bethesda Marketing boss-man Pete Hines laid out what Mikami and the publisher had considered when conceiving this latest cross-generational title. 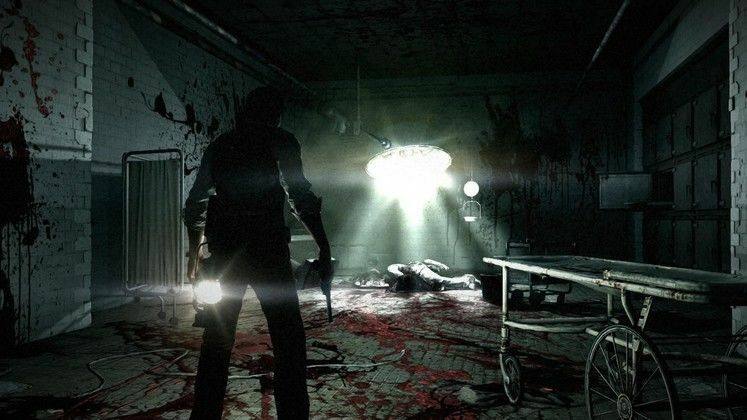 The Evil Within is aware of where survival horror has gone; of how many games are now more focused on action and blasting - most are pure survival, much less horror. 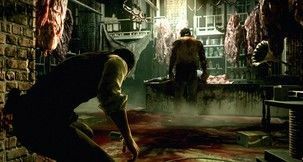 Even the break-out survival horror game of the last generation, Dead Space, ended up more action-based by its third entry - but The Evil Within is trying to avoid just being one or the other. It’s all about balance, Hines argues - rather than going too far down one of the two paths or trying to do both at once and failing, The Evil Within seems to draw clear lines between the two - both happen, but the game, linear and story-driven in nature, funnels you into scenarios designed to either challenge your shooting skills or scare you witless. It’s a wise decision. We start with the horror first, witnessing a story sequence where player character Detective Sebastian Castellanos (quite the name!) shows up to investigate a call of trouble at a mental asylum. That’s always a good start; but then the police cars already at the venue are empty, with weapons removed - but there isn’t a cop in sight. Castellanos and partner enter the asylum - which undoubtedly has vague shades of a Raccoon City Hospital - and begin to investigate. The game is decidedly Western-inspired and looking, but like Resident Evil, there’s something about the dialogue and the way story sequences play out that betrays its Japanese origins. There’s a shadowy figure skulking around, and an injured Doctor lies on the floor while others are dead - and it’s not long before Castellanos falls prey to the strange figure. When he comes to, he’s hanging upside down alongside a ton of other apparently dead bodies like a slab of meat. The butcher is a burly, massive, hulking enemy with a meat cleaver. Things don’t look good. Castellanos lets himself down after some swinging back and forth, and takes cover - and here what is described to us as an ‘exploration’ segment begins. 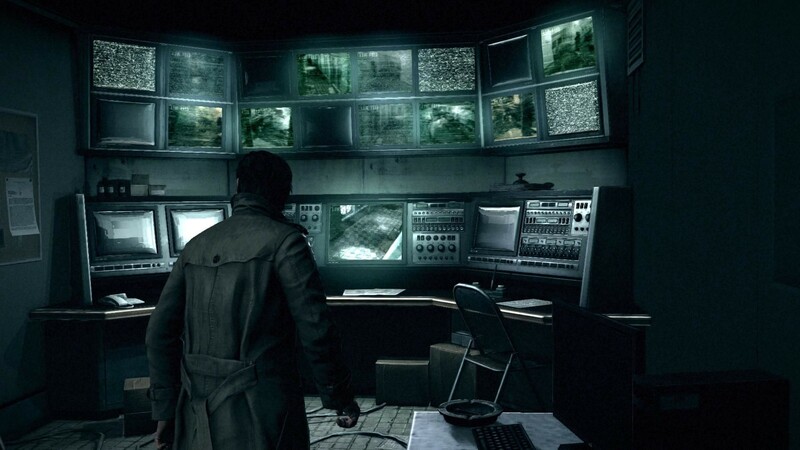 Exploration is pretty simple - it places the emphasis on stealth and avoiding detection rather than combat. Here there’s no gun or obvious weapons, and the player is instead tasked with getting through the area alive. Exploration is rewarded, with the player able to pick up ammunition and health that will then help when combat does kick off. These areas are more confined and straightforward, it seems, with the solutions to problems in this demo at least fairly obvious. Our hero begins to make his escape, but things go wrong - the gigantic enemy is alerted, now wielding a chainsaw, and gives chase. There’s no turning around and fighting here - all you can do is run. Badly wounded, Castellanos limps and grips his side. The emphasis, we’re told, is on scaring the player half to death and getting them breathless for real as they run from the enemy. At one point the demo sees the player character jump into a locker to hide from the enemy, watching out as he angrily skulks around through the tiny slits in the thin metal door; it’s tense, and deeply atmospheric thanks to some really lovely lighting work that is a nice PC-based glimpse of what the next generation consoles are capable of. 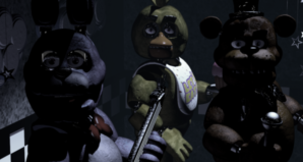 Eventually we find our way out of the exploration part of the stage, get our hands on a weapon and meet some smaller, less terrifying enemies. One thing Bethesda appear keen to stress is that despite Mikami’s pedigree and history, there’s no tank controls here. 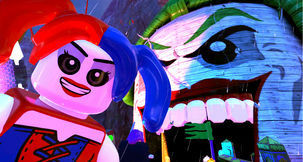 The controls are described as “just like a third person shooter,” and will react with that same speed and smoothness. Trapped in a building with torch-wielding, bloodied enemies outside, Castellanos throws makeshift mines to explode when enemies draw close and fires his pistol from the windows. 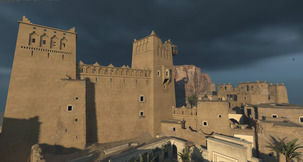 Rather than waste a third bullet on executing downed enemies, the player can also find matches and set them alight - a necessity to preserve the scantly-scattered ammo. 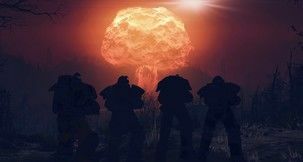 The enemies begin to overwhelm, through the windows and doors alike - and the better decision appears to be to run. We’ve still got those third person shooter HUD elements that were absent during the exploration part of the demo, but now, low on health, the demo sees our unlucky detective running away in desperation. Down into the basement of the house he plunges - and down there he meets an even deadlier looking enemy, a spider-like creature with the face of a person. And Sebastian still has no ammo. Uh-oh -- but our demo is over. It’s difficult to draw conclusions on a game like this without playing it at all, leave alone without the proper conditions - in the dark, with a good headset or surround sound system - but it does seem to accomplish what it’s setting out to do well. It’s exciting and action-packed when it needs to be but also knows when to plod along and earn its scares gradually. 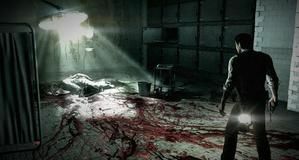 As someone who has an uneven love/hate relationship with the survival horror genre, it’s to The Evil Within’s credit that this is a game I want to play - now we just have to wait for a time when Bethesda will let us do so.